Baker Motor Company opened its doors over 25 years ago with its flagship Mercedes-Benz dealership and we haven’t looked back yet. We have continually added more brands to our repertoire and more employees to assist the customers that keep coming back. We are nestled tightly into the Charleston and Mt. Pleasant communities, and we believe in supporting our community. That is why we have always tried to give back. Whether it is donating trees to the area, sponsoring Children’s Hospital events, supporting our local parks, or one of the numerous other local charities and causes that we have been involved with, we are always here to support our community in any way that we can. 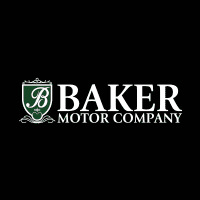 At Baker Motor Company we work very hard to give our customers exactly what they want, day in and day out. That means that we have a wide range of new vehicles for you to choose from, and it also means that we have a large inventory of pre-owned and certified pre-owned vehicles for you to browse through. Your owning experience does not just start and end at the point of sale, and that is why we will be here to service that car of yours when it needs it and provide you with parts and accessories when you want them.